You may or may not be aware that the Story Path and associated story board at the Hinterland Business Centre was ArtSite's first placemaking art project. 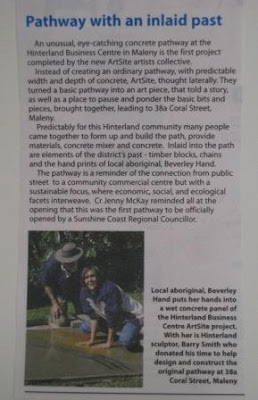 The Jan 2010 Hinterland Times published an article (page 20) on the opening of the path by Councillor Jenny McKay (Sunshine Coast Regional Council). 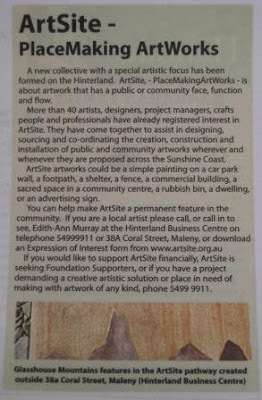 There is also an article on ArtSite itself (page 23).